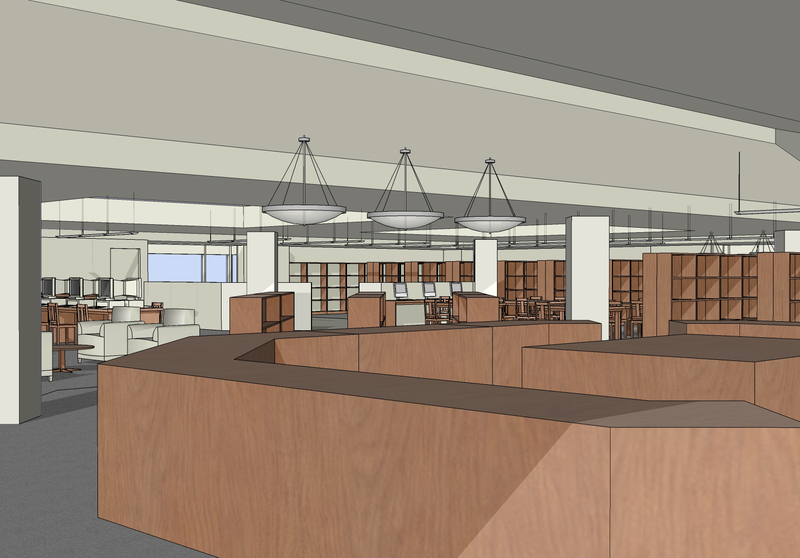 JMT Architecture’s Interior Design group provided a Master Plan for the complete interior renovation of this 20 year old, 22,000SF, heavily used branch. 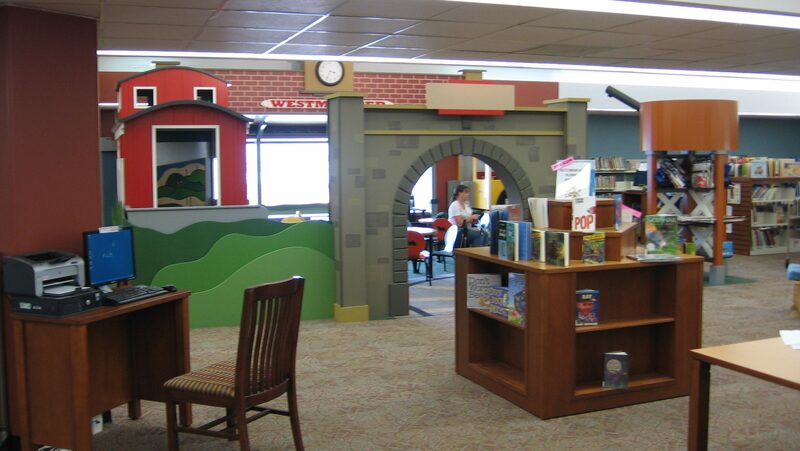 The phased Master Plan included a complete reconfiguration, theming of the children’s area, circulation and information desk, study tables and chairs, systems furniture, public areas including children, young adult, adult, and computer / technology space. Exterior building issues of roof and window leaks were addressed, as well as banners, signage, display, and distribution units for promotional materials. The library system has now made the colors and carpet selections their standard for all branches.